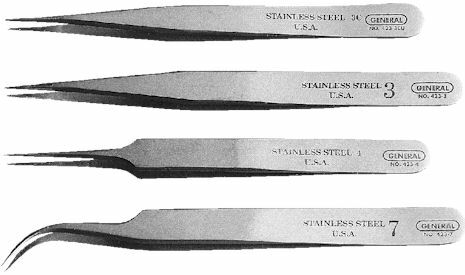 All these tweezers feature light tension, hardened points for sub-miniature assemblies and stainless steel construction. These pens cover completely with no retouching or retracing. Red ink flows smoothly without blurring or spreading. Dries instantly with no cracking or peeling. 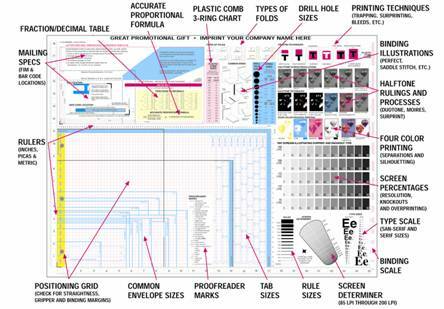 This design tool is a set of 4 books totaling 828 pages, divided into 4 categories: Serif, Sans Serif, Script, and Display. An organized primary utility for identifying PostScript fonts. To locate a type face, scan a maximum of eight pages which are grouped by letter. This can eliminate hours of searching through numerous type books and catalogs. 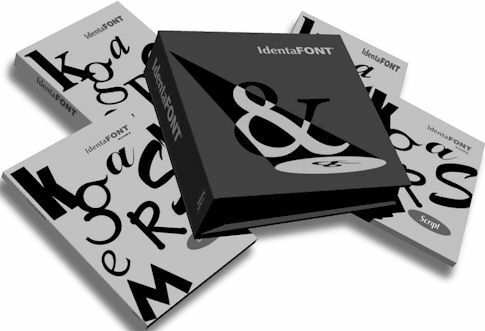 The price of the IFONT-1 is $210.00. 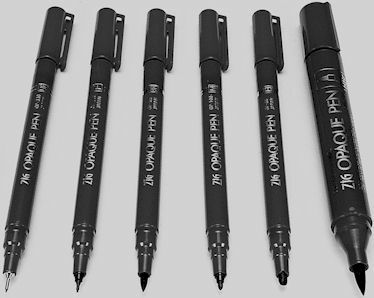 This very popular, fast, accurate, easy-to-use tool is used to check the straightness and centering of copy and artwork. The overall size is 8 1/2" x 6", with a 16 line per inch grid. This tool is perfect for checking all jobs up to 11" x 14". The price of the AMATE-1 is $10.50. 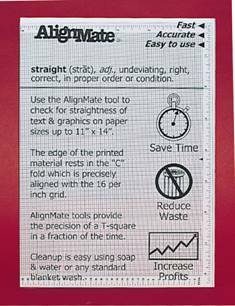 This 20" x 26" clear, durable plastic tool is the ultimate multipurpose printer's guide. Used as a counter mat or wall poster, it helps you train your staff and customers when selling value added services. Explain, check, and sell over 50 functions of the printing industry. The price of the PMATE-1 is $44.95.